Local and Low budget tablets are still targeting a lot of people in India, these tablets are selling way better than any other branded tablet or phablet and have a fairly good user experience. Today we are listing out 5 Best Android 4.0 ICS Tablets Under Rs 5000 which have had great sales in the last year and are continuing to do so in 2013. Earlier there were many cheap tablets with Android 4.0 ICS under Rs 10000 in India, which didn’t capture the market as expected and now few tablets with same specs and lower pricing have been launched. 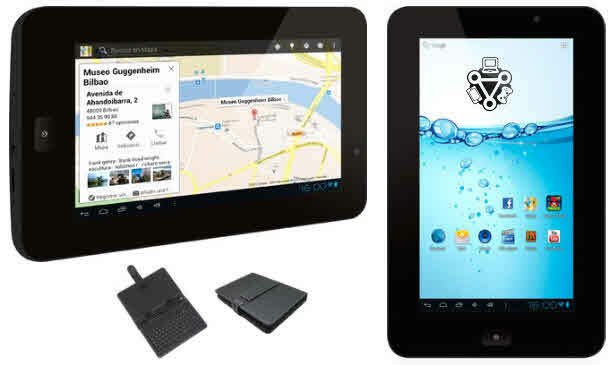 Check out these below Android 4.0 ICS tablets under Rs 5000 along with their pricing, technical specifications, pros and cons. Connectivity: 3G Dongle support via USB and support only Tata Photon Dongle. Supports only Tata Photon Dongle. 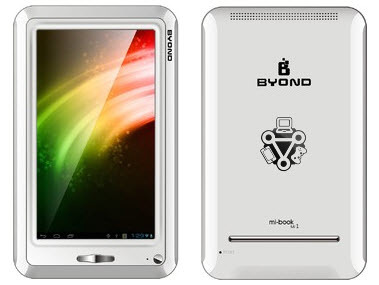 Byond Mi-book Mi1 Tablet is one of the most popular low budget tablet in India. This tablet has a 1.2GHz processor, 7-inch TFT LCD Capacitive Touchscreen which is powered with Android 4.0 ICS operating system. The multi-touch screen gives you a good experience while playing games and navigation, where as the battery backup is 3 hours of continuous browsing and gaming. 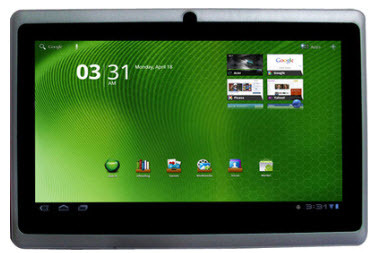 Videocon VT 71 tablet is a 7 inch display Android ICS tab with amazing features. This tablet may sound pretty cheap in price, but the rich specs are not at all compromising. It features a 1.2 GHz processor with 512MB RAM,4GB internal memory and 3200 mAh battery, which will support the device with decent backup for Internet browsing and multimedia. Check out the technical specifications of this tablet below. SPC telecom Neo 4 is a 7 inch tablet with low cost and great specs just like other above mentioned tablets. This tablet has been a hot product for many customers from the past few months, because the RAM, processor and light weight are the added advantage to this device in long run. Though this tablet received many good comments, still a lot of people are against to buy this tablet for its poor specs. Will this tablet replace any other product within its range? Lets find if we can see this tablet replacing other similar products in Indian market. Only one USB port for charging, dongle or any other purpose. Ambrane D-77 tablet is very similar to the above mentioned tablets, as most of us go with the brand name, this tablet was very much ignored. Ambrane D-77 has an ultra slim body design with decent specs and pricing. You can experience the Android ICS feel with its 1.2 Ghz processor speed, 512 MB RAM and good battery backup. So far the tablet received many good reviews about the design, performance and pricing. Check out the technical specifications of this ultra slim tablet below. These are the 5 Best Android 4.0 ICS Tablets Under Rs 5000 in India now. You might have observed that all the brands have similar technical specifications like 1.2 Ghz processor, 512MB RAM, 4GB Internal storage and etc. Just the difference between these above tablets will be their customer service and battery backup. Since we have mentioned the prices of these tablets, you can decide what suits you the best within your range. If you have any queries regarding these tablets, please feel free to ask them below. With the specs they offer, I highly doubt they will be able to update to even Jelly Bean, anything higher is out of the question.